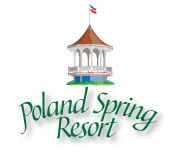 Name: LA Metro Chamber & Uplift LA May Business After Hours at the Maine State Building at Poland Spring Resort!! Please join us on Thursday, May 16th for Business After Hours hosted by the Maine State Building at Poland Spring Resort! The Maine State Building was originally built in 1893 for the Chicago Worlds Fair also known as the Columbian Exposition. The Fair was to celebrate the 400th anniversary of the arrival of Christopher Columbus. 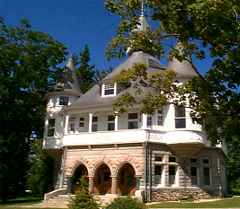 The State of Maine appropriated money to construct the building and the design of Charles Sumner Frost, originally of Lewiston, was chosen. 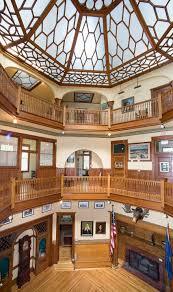 The building was to be made of Maine materials in order to exhibit the quality of the state’s resources as well as the quality of its craftsmanship. After the Fair, The Ricker Family bought the building for $30,000. Arrangements were made for the dismantling of the building and shipping by freight train back to Maine. It was to take 16 freight cars! 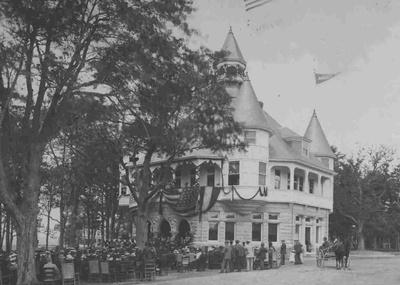 And the Maine State Building was dedicated on July 1, 1895, as part of the celebration marking the Ricker's settling in Poland. The Building is owned by the non profit, Poland Spring Preservation Society.